We have been contacted by one of a group of 7 football fans from different teams across the UK who have got together to raise awareness of Alzheimer’s/Dementia. The cold hard fact is this disease has now taken over as the biggest killer in the UK. 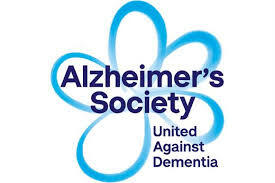 In addition, they are looking to football fans to help by talking about Dementia and Alzheimer's over a pie and a pint and by assisting in their campaign to start a collection of ‘football memories’ by donating items such as personal photos, programmes, scarves etc. The idea being to preserve these memories forever in line with the Alzheimer’s Society ‘Forget me not’ symbol and for the collection to go ‘on tour’ and any club interested could hold the collection somewhere suitable for them. At present, there is no actual timeframe for the tour as it may take months to get a worthy collection together. We're pleased to have donated for Hull City - Deano - From Gipsyville to the Premiership book to this cause.